I will be exhibiting at 44AD Bath with Simon Richardson (photography). 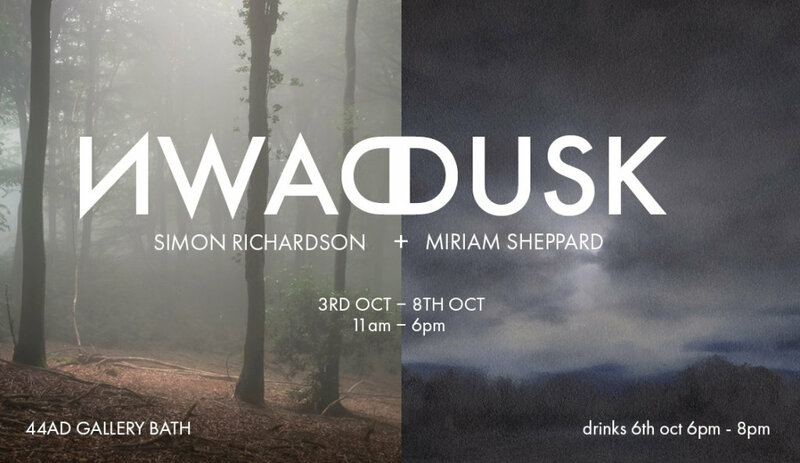 We will be showing a selection of work influenced by our mutual interest in liminal light. Simon's work is focusing on early morning light and I have been working on paintings depicting dusk and night.